Fifteen miles from where America declared its independence, Bolingbroke Mansion predates that event by half a century. The Spring House bears the inscription “1727”. 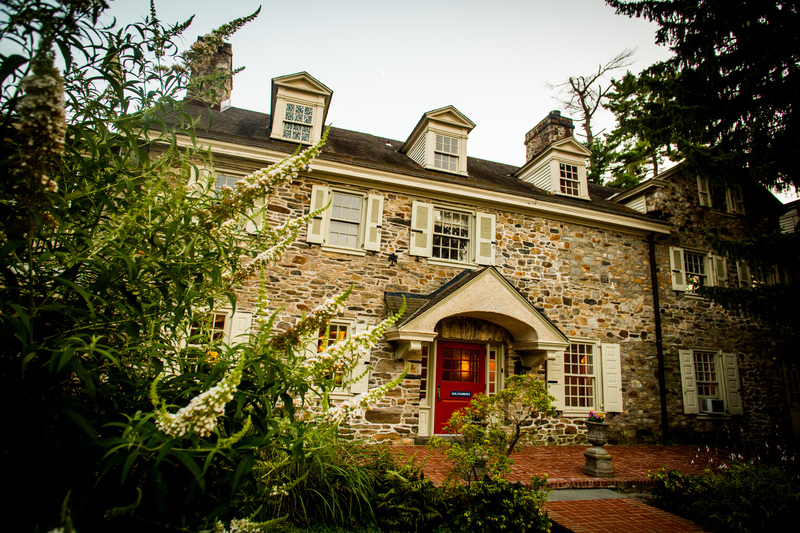 The house’s original fieldstone, some of it still intact, was brought from Colonial gristmills along Gulph Creek. In 1901, the property was purchased by Ledyard Heckscher, and two paintings by Mrs. Heckscher still hang in the living room. Mr. and Mrs. Heckscher retained the noted Main Line architect, R. Brognard Okie, to renovate, remodel and enlarge the home to what you see today. In 1949, Bolingbroke was bought by Mr. and Mrs. Roy J. McKee. Ten years later, St. Martin’s Episcopal Church acquired the property and grounds from Mr. and Mrs. McKee for their parish house. St. Martin’s Church is proud to make Bolingbroke available for wedding ceremonies and receptions, parties and corporate meetings and events.